We all answer questions all day long. Even when we're not actually speaking with someone else, we're answering questions in our own mind. How about we start getting paid for all that thinking and answering? Below are both web-based and text-based programs that allow you to start answering questions for money. You won't get rich, but you will get paid. And in the end, you'll turn time that you've spent just sitting around or waiting in line into more cha-ching in your wallet. That's never a bad thing! I know a handful of people that do several of these sites and love it (and make a nice little stash of cash)! – Though they aren't USA based (actually in the UK) – they still let us Americans in on the action. Last I checked it was almost .50 cents per answer! – I personally took the test and didn't pass. But I can take it again. You'll get paid up to .10 cents per text. Better yet – it's open to not just the USA, but also Canada and the Philippines. -This is a really great opp that can genuinely help you earn decent money. Several ways to answer too – not just email,. but you can chat and answer via phone too. They pay with PayPal which is nice, but sadly, they take a chunk of your earnings. – Write articles that answer questions and you'll get paid for the article and a revenue share as well. – Another site that pays your for your knowledge. However, they make money taking a small cut of your earnings. -Has been around since 2009. Simple layout to the site. Payment is made in points that you can eventually redeem. 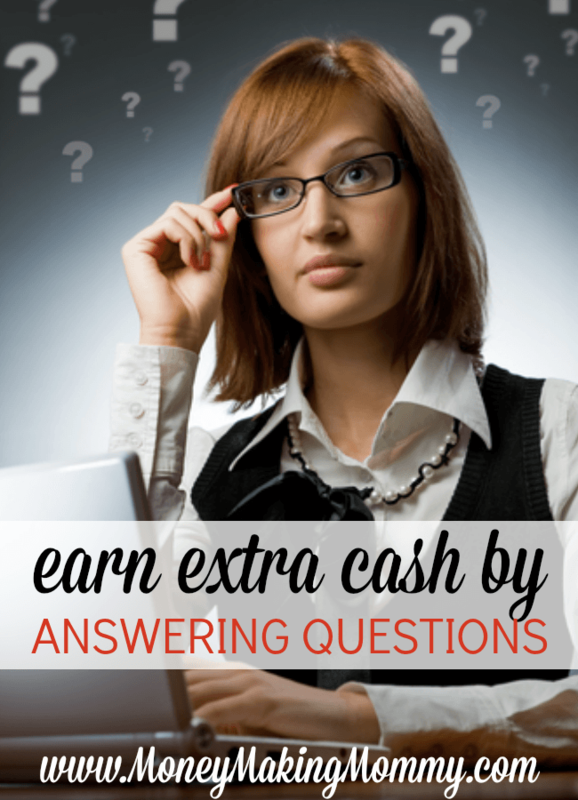 – Answer questions and get paid for your knowledge. – Great why for those handy “fix it” folks to earn rewards helping others. – If you can offer advice or answer questions then you can do this. 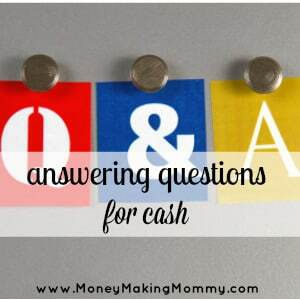 – From airlines to credit cards companies, if you can answer the questions – you'll get paid. – Share your knowledge and earn cash for popular answers. – Just like a weegy board… folks get answers – only from you and not a board. – I'm currently earning about $25-$30 a month doing fairly small surveys. The questions are easy. If you're currently making money answering questions, or have done this type of work in the past, please share your experience below in the comment section. Also… if you know of any companies that are similar to the ones above, let me know that too, so I can add it as a resource. The more resources on this page – the better it is for everyone. Thank you in advance. Hope this is not one of those sites that sound nice, then ask for start -up fees. I think Weegy is one of the cools ones as well. I WAS ABLE TO EARN A TINY AMOUNT OF MONEY OFF OF WEEGY.COM, ABOUT A DOLLAR A DAY BUT THE OTHER SITES ARE A LITTLE TOO TECHNICAL. AT LEAST I EARNED A LITTLE EXTRA CASH OFF THE LEGITIMATE WEEGY SITE. That’s odd — it works fine for me. I get no warning at all.